Citi Bike, NYC's bike share system, also extends to Jersey City with 50 stations. As an Annual Member, your key will work across the entire system. So even if you live in Jersey City but work in Manhattan, one membership has got you covered! 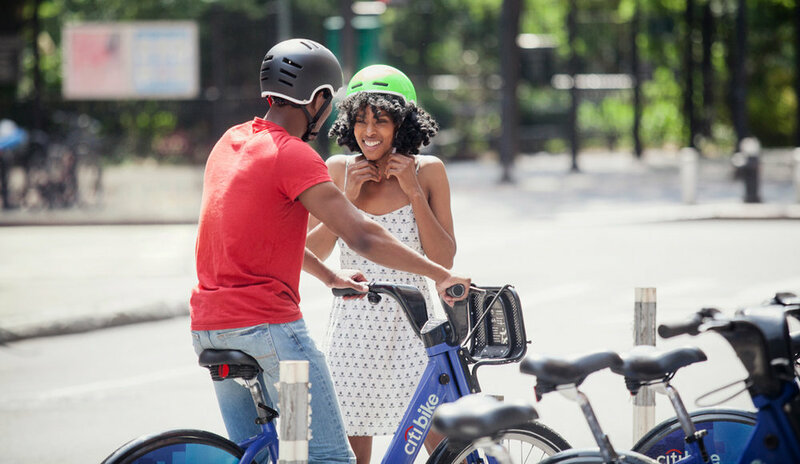 Citi Bike was designed for quick trips with convenience in mind, and it’s a fun and affordable way to get around town. Pick up a bike from any station in Jersey City, Manhattan, Brooklyn or Queens, and return it to any other station when you're done..